We do the dirty work so you can have a cleaner life. 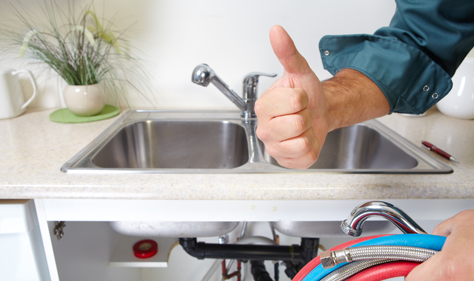 Colvenback Plumbing has provided top quality maintenance, repair, and installation of plumbing and water services for thousands of Naples houses and condos for over 30 years. Our team of experts is glad to help you with any problems with your home’s plumbing, whether you have a leaky pipe, backed up system, need some fixtures installed, or just need an annual inspection. It doesn’t matter if you live in a small condo, a modest house, or a huge mansion. A clean, safe home is a happy home. When it comes to keeping you and your family in a happy home, don’t leave it up to just anyone. Call the pros at Colvenback Plumbing! Colvenback Plumbing is available 24 hours a day, 7 days a week, 365 days a year to help with any plumbing emergency you might have.Read more. I was on a business trip when my wife called to tell me that we had a water leak in our house. At the recommendation of a friend, we called Colvenback Plumbing, and I am VERY glad we did. My wife said they arrived quickly and had everything resolved relatively shortly. Being thousands of miles away and not being there was frustrating, but knowing how calm they made my wife was a tremendous relief. THANK YOU MSP!